The best thing about owning a Jeep is the ability to remove the windows and softop. Allowing you to enjoy the fresh air and experience the outdoors. Planning an adventure with your Jeep Wrangler JL, then you will want to bring those removed windows with you. 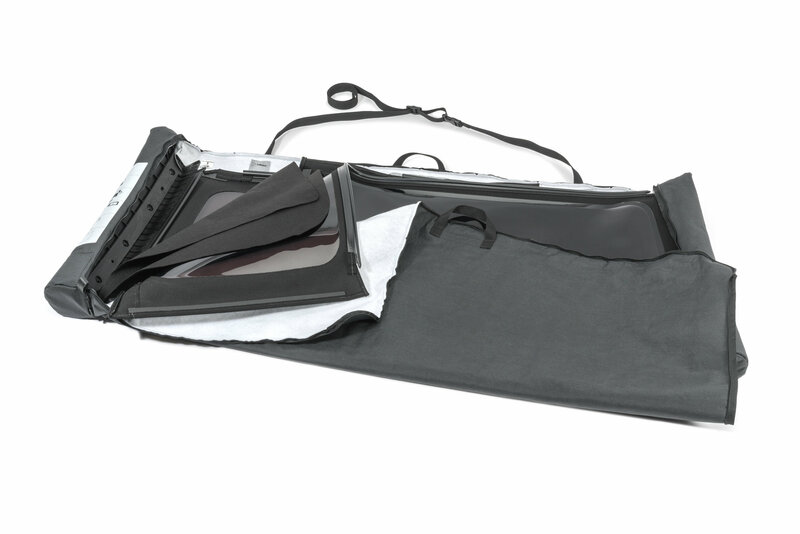 The Soft Window Storage Bag will provide the protection you need to keep them from getting scratched. Strapping vertically to the rear side of the back seat, keeping them out of the way. It will also keep them clean, so you can maximize the vision when they are re-installed. Available in a black vinyl fitting your 4door JL Wrangler. 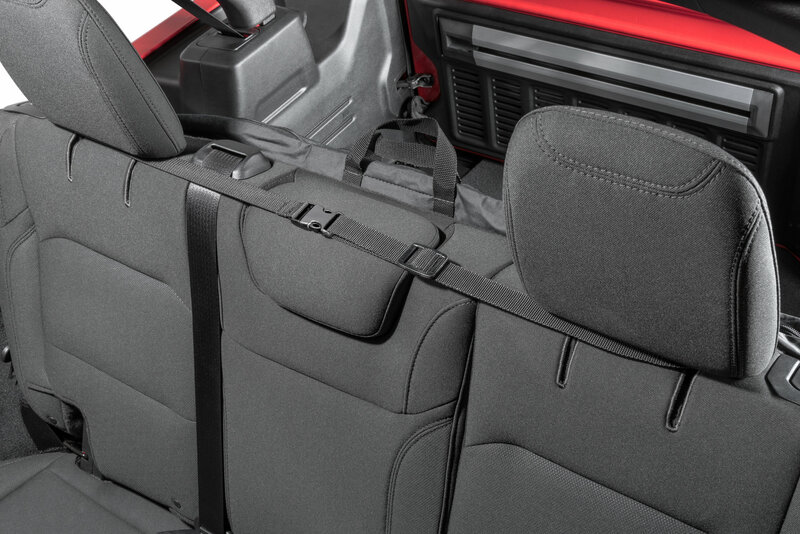 Note: Tie the straps snug and correctly around the seat so the windows stay in place. This will help to prevent them from sagging. 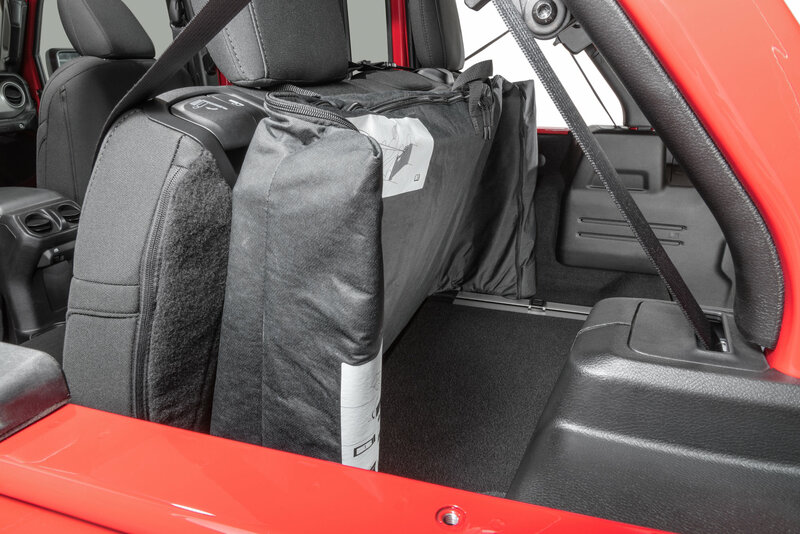 Convenient Storage: Mopar has designed this bag to store the rear 3 windows in a convenient location. Mounting with straps to the rear side of the back seat. 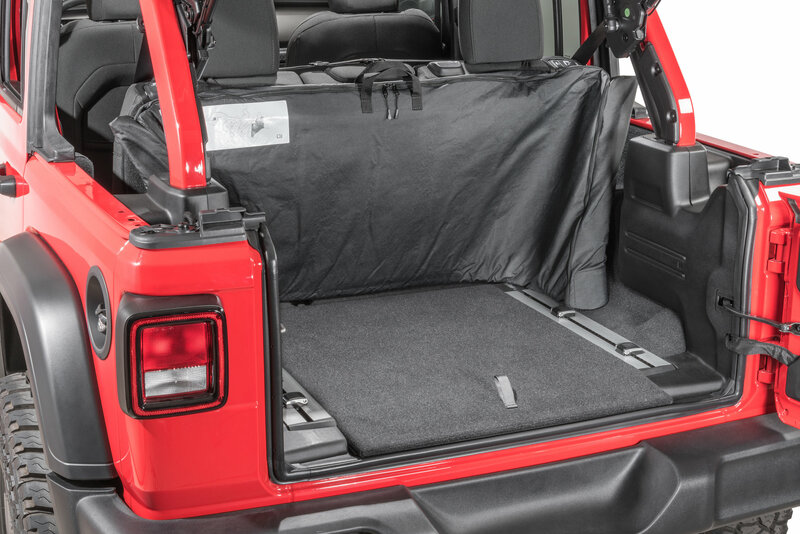 Allowing you to still have ample cargo space. 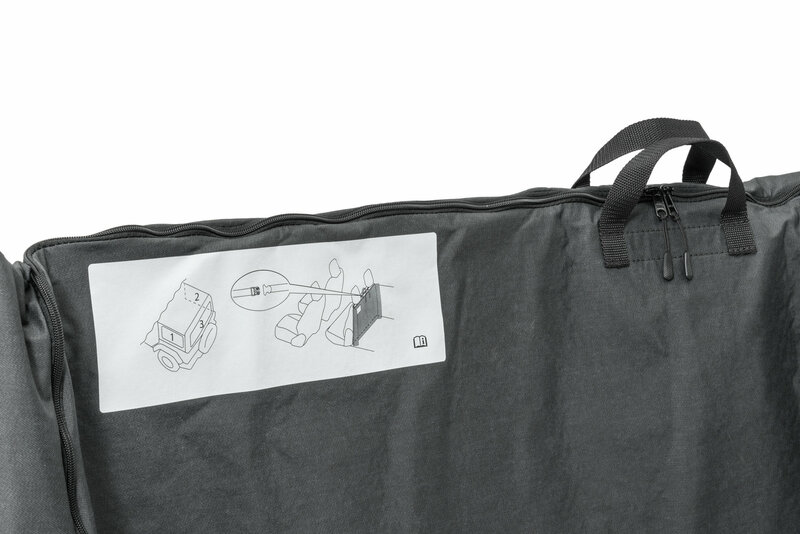 Protection from Dirt and Scratches: This bag provides protective layers between each window preventing them from scratching each other. Custom Design: Engineered to fit your factory JL 4door soft windows. The first review is spot on. Nice to store in your house but in no way properly fits on the back of the seats. The fabric is too soft to hold the windows straight up when hung from the back seat. At least when the windows are soft from the heat. My windows kept sinking down inside the bag and now have these god awful crease marks they never had before. This was after one use. I would never attempt to hang my windows from the backseat again. 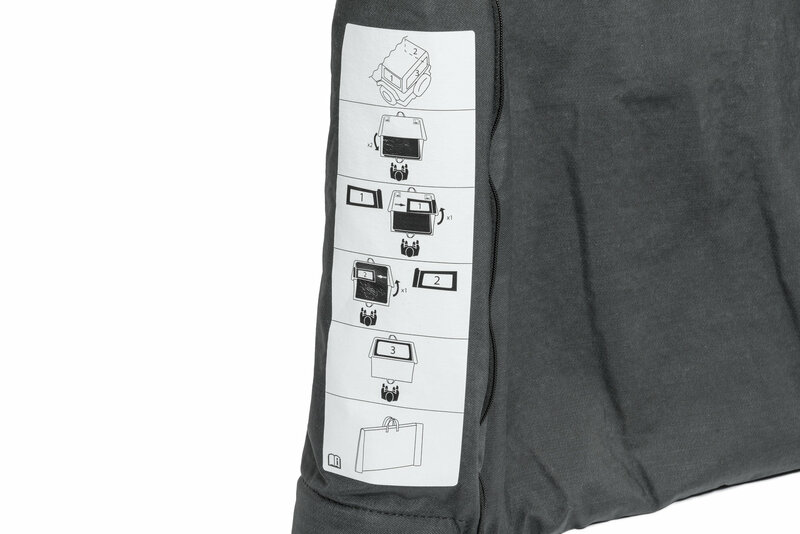 Aside from the crease problems, the windows in no way, shape or form fit properly when you hang them from the back seat. I would not recommend this product for the price. I paid a lot for this on the assumption it would perform as claimed. It’s a nice quality cover but does fix the fact that the windows of the JL sunrider soft top cannot be rolled up and don’t fit laying flat in the trunk unless you put the seats down. Hanging from the rear of the back seat would have been great- if it worked. This doesn’t. You can get very good quality covers for half the price. Do that. My 2 cents. 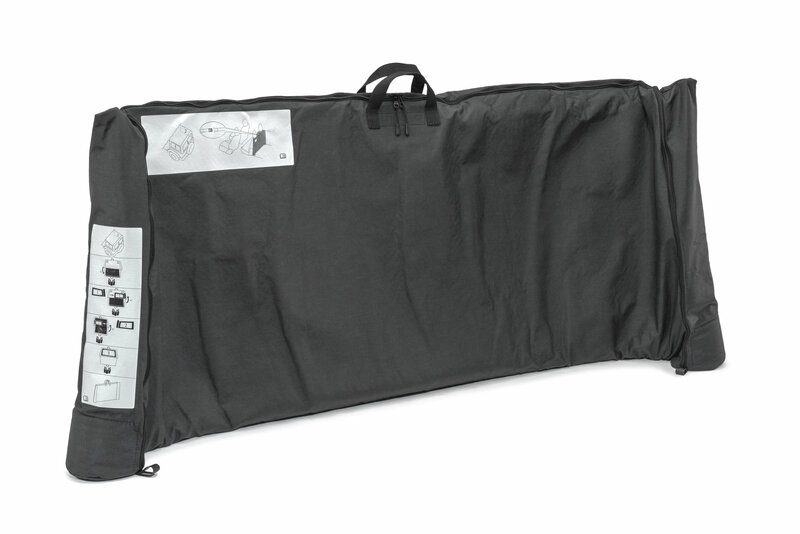 This case is Ok to store your windows in the house/garage however It states that it fits in the trunk and it does NOT in any way. Is this for the side windows only, or also for the rear? This fits all three windows. Does this also work for the 2-door soft top? No, this is only for the JL Unlimited 4 door Jeep.